Legal permanent residents (“green card” holders) can get free help applying for U.S. citizenship at Citizenship Day at Big Bend Community College on Saturday, September 8. The one-day clinic will be held in the ATEC Building, and new participants are accepted from 10 a.m. to 3 p.m., or until the capacity of 60 is reached. It is hosted by the nonprofit organization OneAmerica, Hand in Hand Immigration Services, and the state chapter of the American Immigration Lawyers Association. “Citizenship is a critical part of the American dream for many immigrant families, but the cost of attorneys and fear of the process stop many eligible people from becoming citizens,” said Sarah Sumadi of OneAmerica. At Citizenship Day, a team of volunteer immigration attorneys, paralegals, interpreters, and other community volunteers help eligible immigrants fill out the 20-page application for U.S. citizenship. 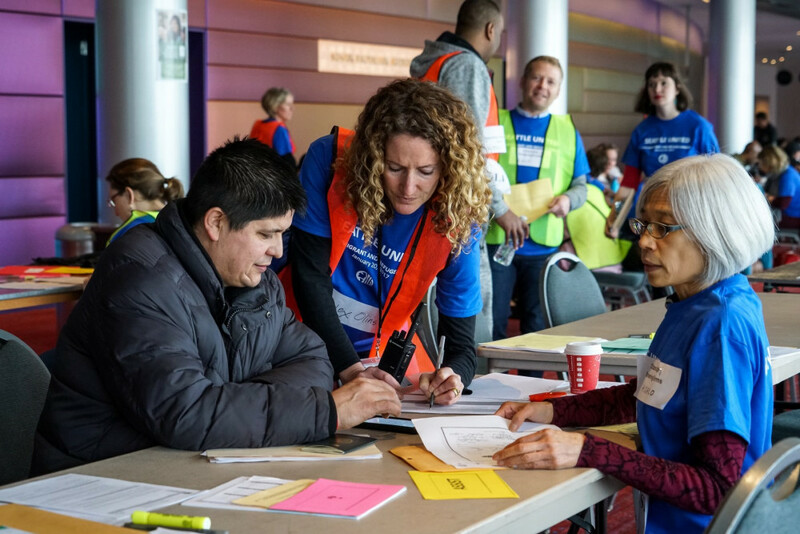 This is the 10th anniversary of the Citizenship Day program – last year Citizenship Days were held in eight cities in Washington State and had more than 375 volunteers who served 531 people, according to OneAmerica. Though the event is free, the citizenship filing fee is $725. Low-income applicants may be eligible to apply for free with a fee waiver. Citizenship Day participants will also get assistance filling out the fee waiver application. It’s important to come prepared so that attorneys can provide high-quality legal advice. Visit the Washington New Americans website (www.wanewamericans.org) for a list of what to bring. For questions, call or text the multilingual assistance number at 206-926-3924 (please note this is a voicemail-only line; all calls are returned within 2 days. For faster service – send a text!). Organizers still need local volunteer bilingual Spanish interpreters to interpret for clients with paralegals and attorneys. If you’re bilingual in Spanish and would like to volunteer, please sign up in advance. Pre-registration and training are required. (photo courtesy of Washington New Americans) Need help applying for citizenship? Volunteer immigration attorneys and interpreters will be on the BBCC campus Sept. 8 to provide FREE assistance with citizenship applications as part of Washington New Americans' Citizenship Day event.